Rome, are two days enough?! With cheap airlines like Ryan air and Wizz air we can travel around Europe cheap. On a sale I bought cheap flights to Rome but we only had 2 full days. Would that be enough? We arrived Friday afternoon. It was June and the sun was heating up fast, so you know summer is coming. The temperatures raised up to 30 degrees, but somehow there was a wind so it made it perfect for a city trip. Our hotel made a mistake, the room was double booked so we had to go to the other hotel which is under the same management. 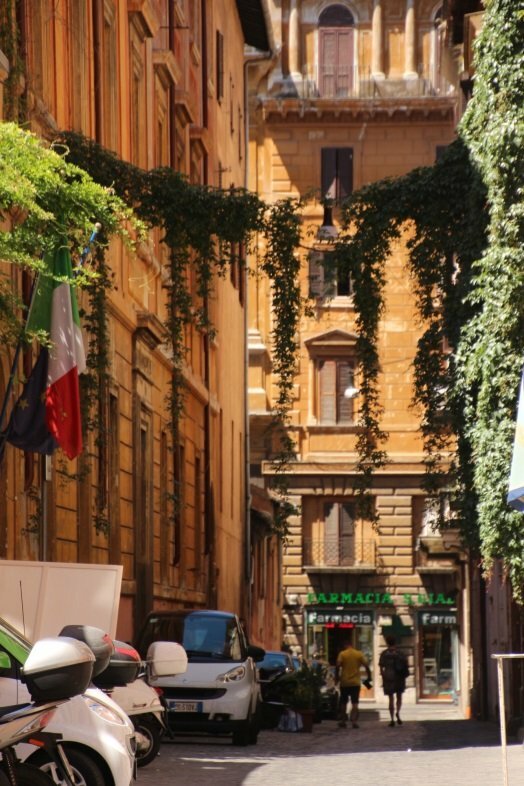 That hotel was fine too, the only thing was that is in a complete other section of Rome. Right away we took advantage out of it and walked around in the park which was about 10 minutes walking. After a good evening walk ending with a nice dinner, we went straight to bed. Exhausting, those flights! The next day we found there was no public transport due to a strike. After a quick breakfast the hotel manager offered us a choice of hotel, or we could stay, or we could go to the original booked hotel, which was close to the Colosseum. We choose the last option, not because the hotel was bad, but because of its location. He told us to leave our luggage, they would take care of it and bring it to the hotel. When we packed our bags again and I wanted to put on my favorite sandals I found out I took two left shoes instead of one pair. Ops! Luckily I also had a pair of flip flop and fold able butterfly twits. That last pair was a bit too warm for me, so it would be walking with flip flops all day. This day we just make a walking route thought the city, with the most interesting sights. 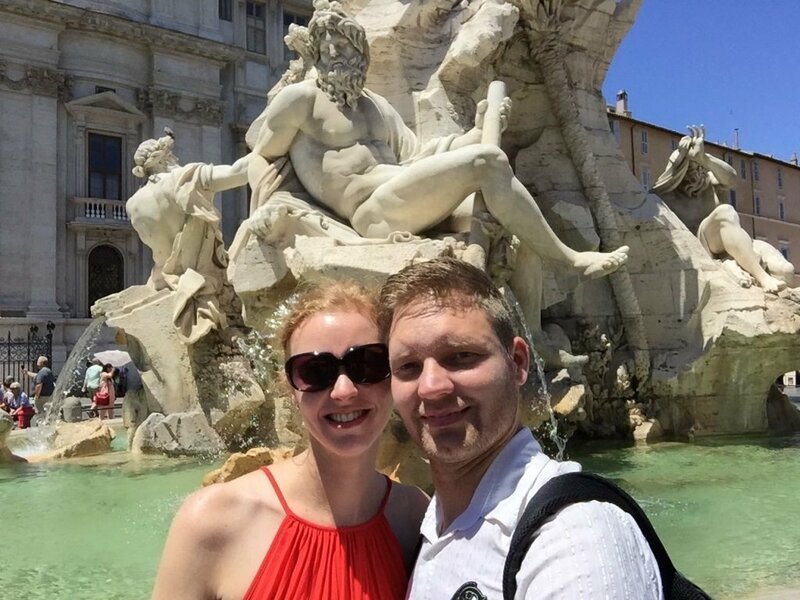 Spanish steps, Pantheon, Trevi fountain, some plaza’s and Basilica’s. We just walked and walked and our conclusion was that ever where there are nice buildings. Every street is one of your dreams. There are loads of restaurants to have quick bite or just take a moment and have a good meal. We saw many gelataria’s, we asked for their famous and most sold ice creams and we just ate and ate. At the end of the day we were back at the official booked hotel. The receptionist had our room ready, which was fine. Again a very early sleep. The next full day we had we planned on visiting the Vatican city. 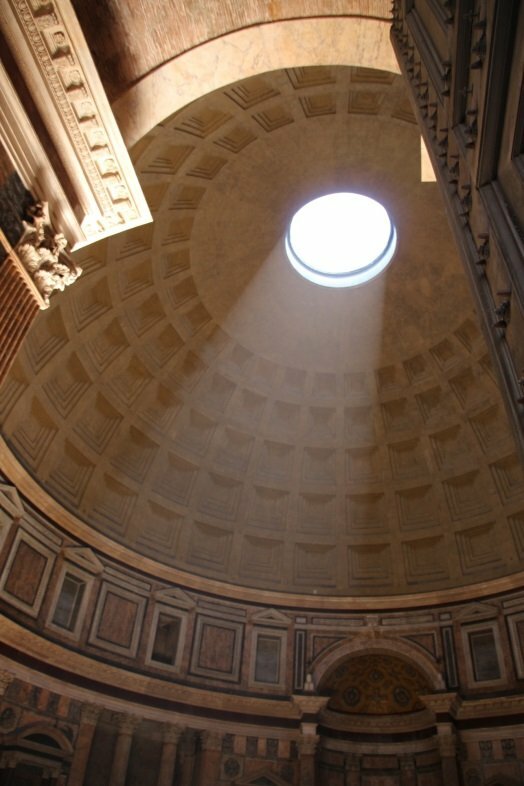 Of course we still had loads of things to see in Rome, but this one should not be missed. 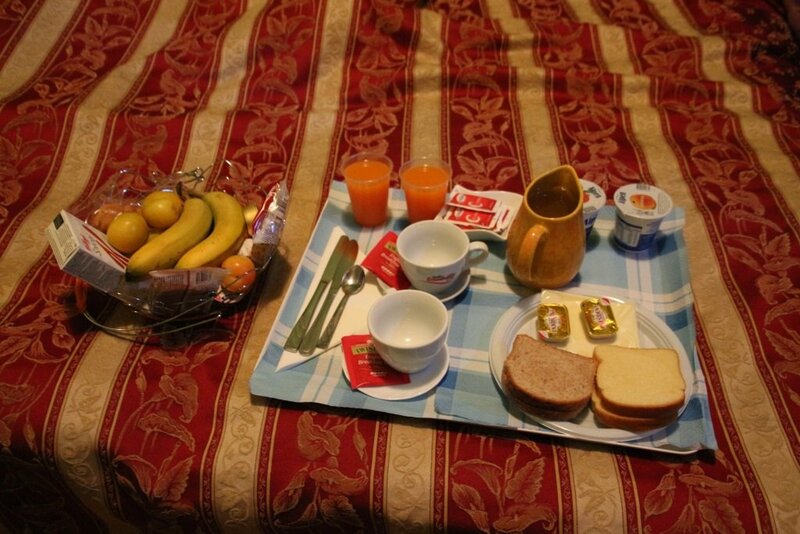 The receptionist gave us a breakfast in our room. 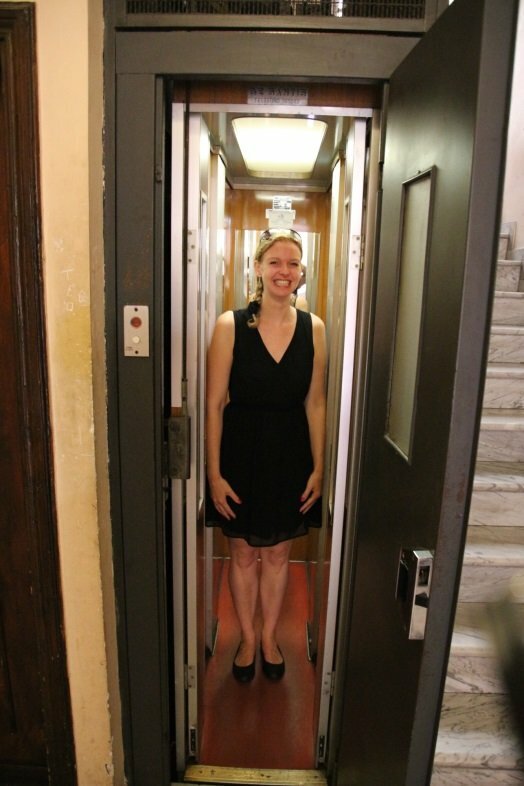 And after finishing it, we figured, we had the smallest elevator in our hotel which we have ever seen. Actually only 2 persons could go inside. After 1 way down, we found it to claustrophobic, so we just walked the stairs the next times. 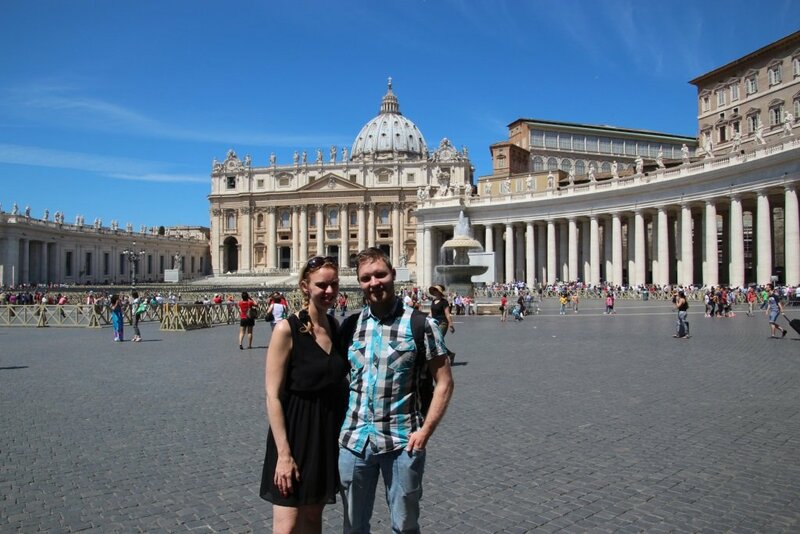 We took the subway to Vatican city. From here it was a short walk to the entrance. Obvious we were not the only tourist going there and along the way we got a lot of offers to buy a ticket for the Vatican museum so you can skip the lines. We didn’t have the intention to go to the Vatican museum. Many would think this is a big miss, but we both don’t like art works and it didn’t seem the right museum for us. 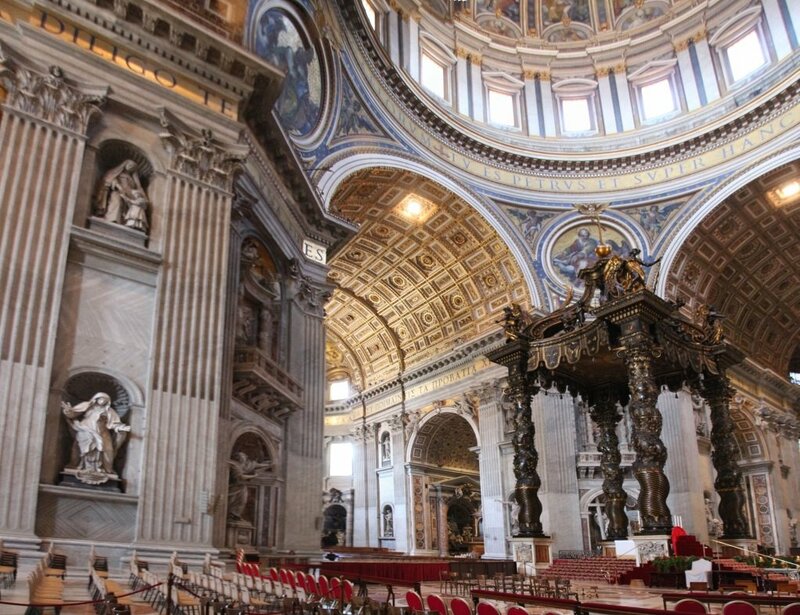 We walked straight to the St. Peters Basilica. Here we found a long line. We had to wait for about 1.5 hours. Woman should be prepared. The shoulders and knees should be covered. If you're not proper dressed they send you to a place where you can rent the right clothes. The basilica is gonna take some time. It is big, but most of all very beautiful! 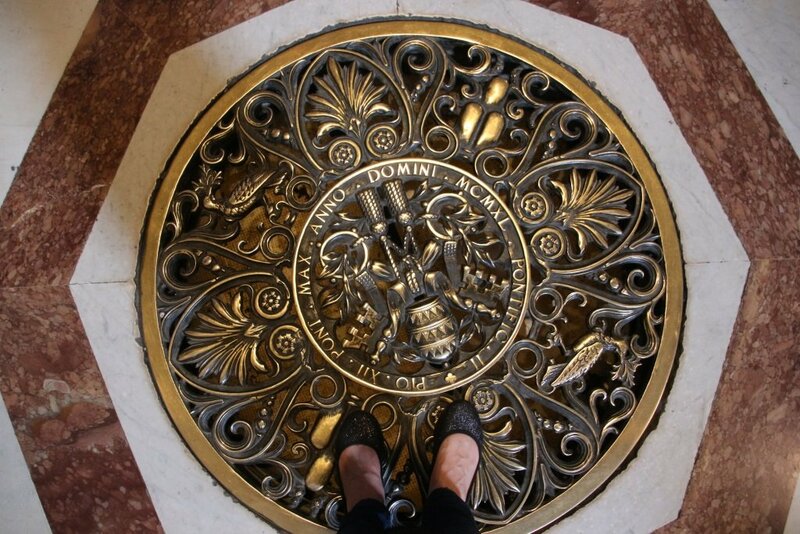 There is just so much to see, from nice mosaic floors, to stained glass windows and nice sculptures. For a nice view we went to the roof. You can take an elevator up, and then you’ll have to walk a few stairs. Those are really small, so be aware if you are claustrophobic. The view from the top is phenomenal! You can see 360 degrees around the city. I loved it a lot! But I wouldn’t take those tiny stairs anymore. 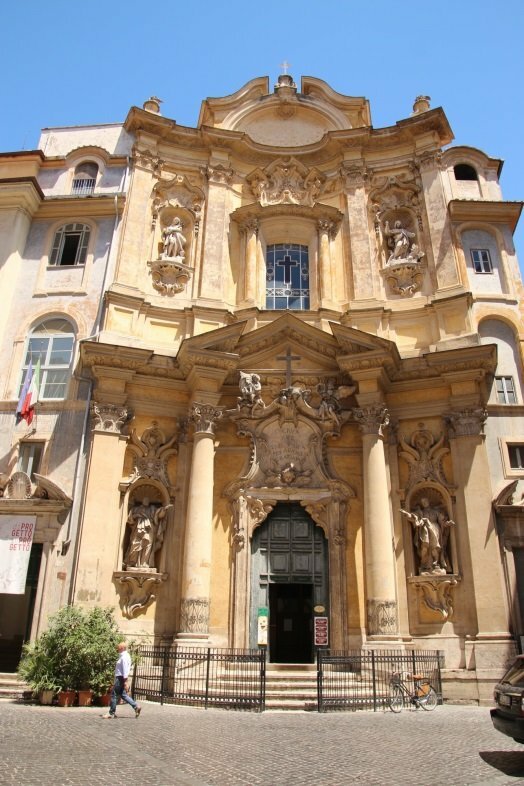 After this amazing church, we both forgot we wanted to see the bridge of angels after, so we went back to our hotel after we had a great lasagna in a souvenir restaurant. We took a rest for an hour or so. Our hotel was close to Colosseum, so we took the walk to this amazing building. From a friend we got a great tip. 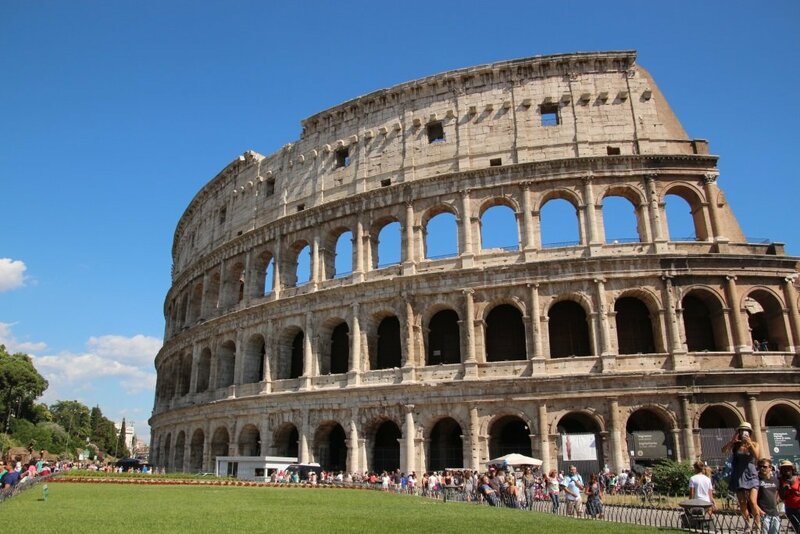 Just go to Forum Romanum, buy your entry for both sites and skip the line of Colosseum. We saw the line was huge, so we walked to Forum Romanum first. With only 10 people waiting the line it took us not much time to get the ticket. 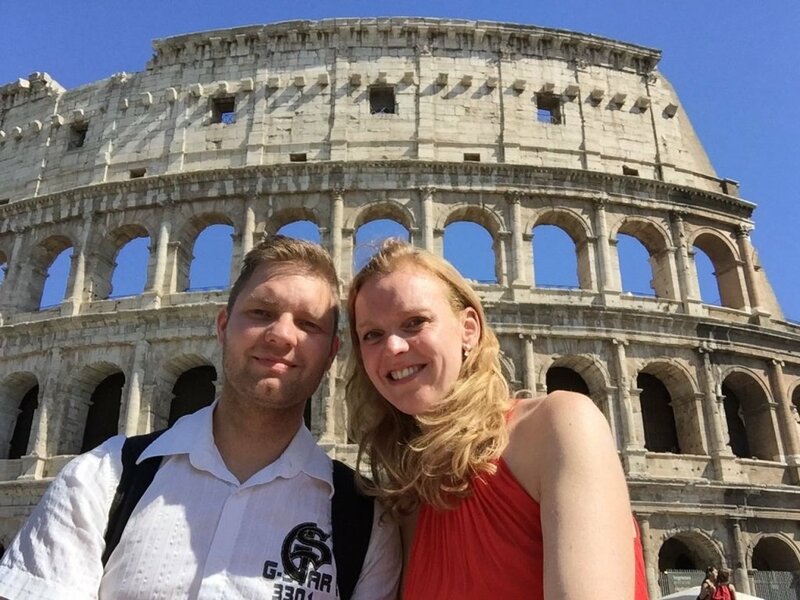 We walked around at the Forum, but my husband was eager to see the Colosseum. So we just left the site and skipped the line of the Colosseum. He wanted an audio guidance to learn more about it. But as I am a bit inpatient, I just walked around and took some photos. Afterward’s Timo said that the audio guidance wasn’t really worth the money. As he is really interested in the history of the Colosseum, he searched it on the internet before we left. So it wasn’t really giving more information. We just had time for one more pizza. 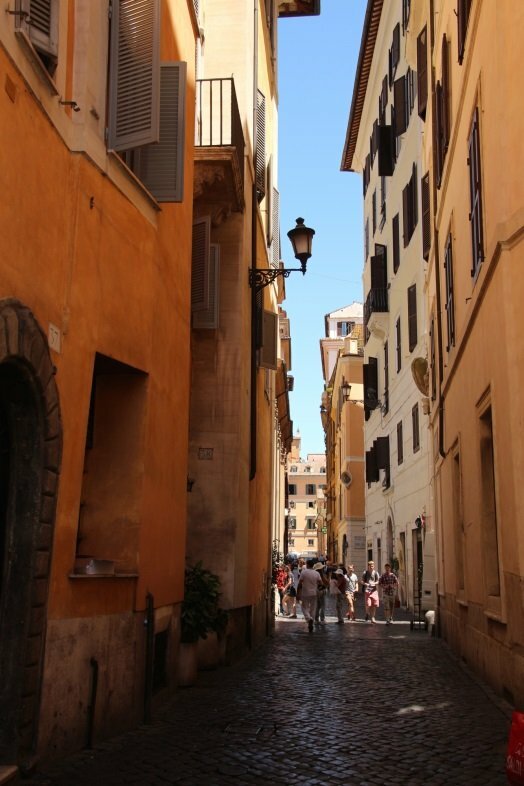 We looked for a restaurant in the smaller streets around the Colosseum, and found a really cozy one. Next day we had to get an early flight. 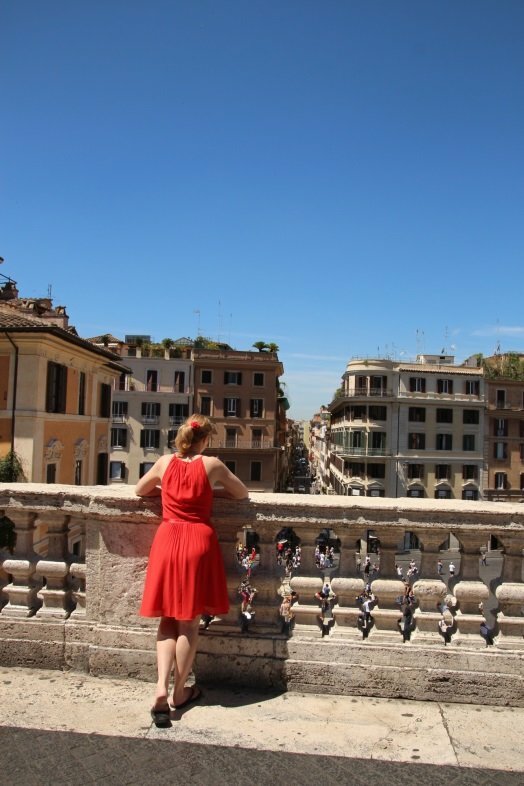 Was it worth to go to Rome for a weekend? Conclusion: Of course two days will not be enough to see the city Rome. You will at least need 5 days to see all the buildings, museums and parks. But in two days you get a glimpse of the city, you can get a taste of the Italian kitchen and you will have short holiday which feels like a week! It isn't expensive. Hotels you can get for 45 euros's a night for 2 persons. Food will be cheap too. 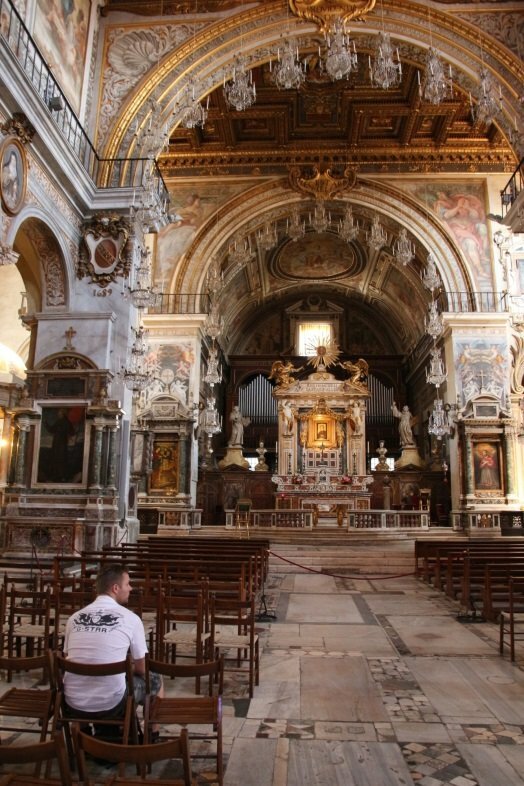 Basilicas don't pay an entrance fee, the same counts for some buildings like Pantheon or Trevi fountain, only if you flip a coin of course. 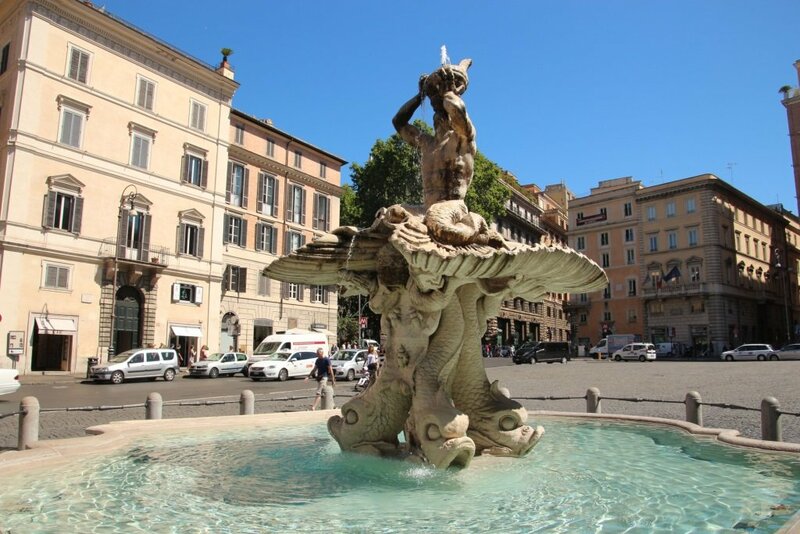 What is your best tip for Rome? Something to see or to eat? Let me know!